garnier pure active neem indiblogger A Pimple Story! Pimples could be disheartening at times. It’s something that could distract and disturb you terribly. If you have never experienced this thing called 'pimple' then I highly recommend that you should have a tete-a-tete with someone whose teen days had been terribly ruined by pimples. Of course, that would be a sad story to share. Almost everyone has had their own Pimple story in their lifetime. For some it may have been too soon and for some it may have been at a later stage of their life. It can shatter you and break your confidence into shards. The first time pimples appeared on my face at a tender age of 15. The weird part was that whenever it invaded my face, it also left some sort of scars. And for a fact, I could say that almost 87% of people develop pimples and it’s not a feel good thing too! Be it parties, alumni meets, weddings or any kind of activity that requires physical presence, you may just avoid it during those days! You turn choosy! You rarely visit friends, avoid oily and spicy food and you feel that your life has veered out drastically! Thanks to this fiend called pimple. Some could say that pimples are parts and parcels of life. They are like passing clouds - comes in phases and they fade away soon. But some kinds of pimples are stubborn. They seem to love your face so much that they refuse to leave it soon. And to get rid of them you have to knock a rescue ranger's door in form of a Dermatologist. They make us feel concerned and conscious. Pimples affect our personalities. The linkage between personality, attractiveness and status amongst friends comes to light when a case of pimple arises. Because most of us treat it as an urgent issue while some treat it as a matter too trivial. It sometimes affects you psychologically too! Imagine you have to attend a job interview for the role of a TV Anchor. Of course, you need to look fine and dandy in such a case. But if a Pimple hijacks your face then no matter however beautiful and attractive you may look, it will certainly lower your self confidence. It can cause a negative impact on you and all your activities. People close to you might state that after all it’s just a pimple and pimples don’t stay long. It’s true that not everyone would actually know what all you are going through! And most of the time its embarrassment that haunts you deep! Get rid of all those pimples, it’s just going to haunt and hurt you. Don’t ever let a pimple bring down your self confidence and self esteem. Never shy away from crowd or groups. Trust I too had such problems. I would skip family trips, dinners and get-togethers . I preferred rather staying at home and read my notes instead of going to college! At times, whenever I attended class, few of my class mates would taunt me. Mood swings and disturbances had turned out to be my best friends during those days where I had alienated myself from the outside world till the pimples bid adieu to my face. I tell you that it was indeed a bad phase of life. It took some time to heal completely. The pimples had eventually left behind some scars that were stubborn enough to leave my face. Perhaps they had loved my face so much that they had planned to reside there forever. But I didn't remain firm. I consulted my dermatologist many time and every time he would say, “Chill, that will go soon.” "But When?" I would snap back quickly. Tired of covering my face, I had soon realized that life was a living hell! Those were the days of my tryst with Pimples! There are many face washes and creams available in market and every new product is being launched everyday to address different face related issues like pimples, oily skins, wrinkles etc. There were products available in market during our time too but most of them were ineffective. 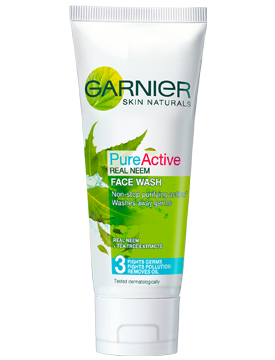 My sister has been using Garnier Pure Active Neem face wash to address her pimple issues. Being a Fashion Designer, she has to look attractive and beautiful. Whenever she complained about the pimples, it took me back to the late 1990’s and I saw a younger me in my sister. The same problems that haunted me had begun to haunt her too. The same confidence and social withdrawal symptoms had made her life terrible. You generally won’t tend to avoid people during those days but still some people might think the other way and vision you as a person with loads of attitude! Some might tag you with different names. But the Garnier product worked well for her. It did wonders to her face within weeks and she started hanging out with her friends and peers once again. What took me several months, took only weeks for her. It makes me wonder if such products existed in my days then it would have been bliss! Thanks to Garnier Pure Active Neem for helping her out to resolve her pimple issues. Let me cite few notable highlighted features about this product that I found from the Garnier product page. Your beautiful face doesn't deserve to be a shelter to the pimples that eventually make it hideous. Your best friend won’t care about your face. It becomes your duty to take care of your skin. Pimples have been distracting elements that can only tend to bring down your confidence. Should you let it invade your face for a long time? Act now! Use Garnier Pure Active Neem face wash and see the change. You might ask me how I could tell that. Yes, I have seen my sister’s struggle against pimples and most of the time certain homemade methods and remedies don’t work. I have been observing her since the day she switched to Garnier Pure Active Neem and it had been instrumental in bringing back her usual beautiful face. If you don’t trust me then you can Google for Garnier Pure Active Neem face wash reviews and various success stories. I hope you would find it useful too. Switch to Garnier Pure Active Neem soon and get back your glowing face. Beam with confidence and walk with your face forward with pride. A Pimple can be a demotivating agent or a force to be precise and its your call to make way for it or kill it! Many follow the second option! Which one would you prefer? God has gifted an amazing face to you, why would you want to gift it to a Pimple and spoil it? Trust me when the sun rises at morning, you won't wake up with the fear of your pimples growing bigger. 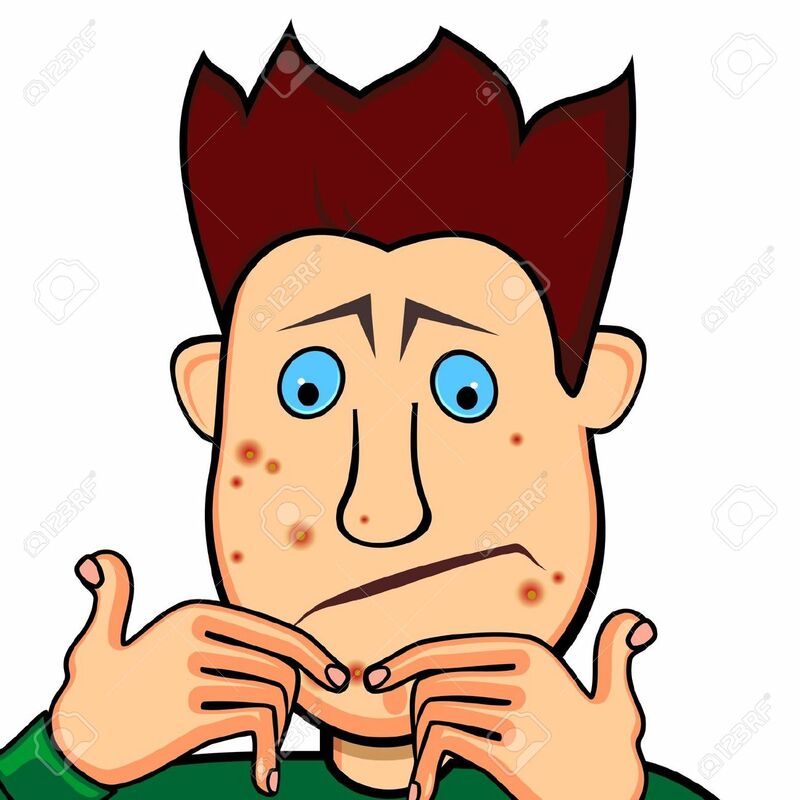 Pimples will get vanished and you can go out of your house without the fear of getting noticed by unknown people around you, their eyes glued on your pimple. Soon after you will walk out of your house with smile on your face and confidence on your eyes. Wear that attitude! Invoke positive energy around you! Everyone has a Pimple story. Do you want to fight the goons called Pimples and thrash them to Zilch? I shared you me and my sisters Pimple story. Do you have a story too? Why don’t you get rid of those pimples that don’t want you to look pretty! Finish it all! Lead a very happy life. Tread outside, Party hard and click nice Selfies with your Besties. Never let a pimple break you!